Scientists will use two species of seals to investigate a huge glacier in West Antarctica that is at risk of collapse. 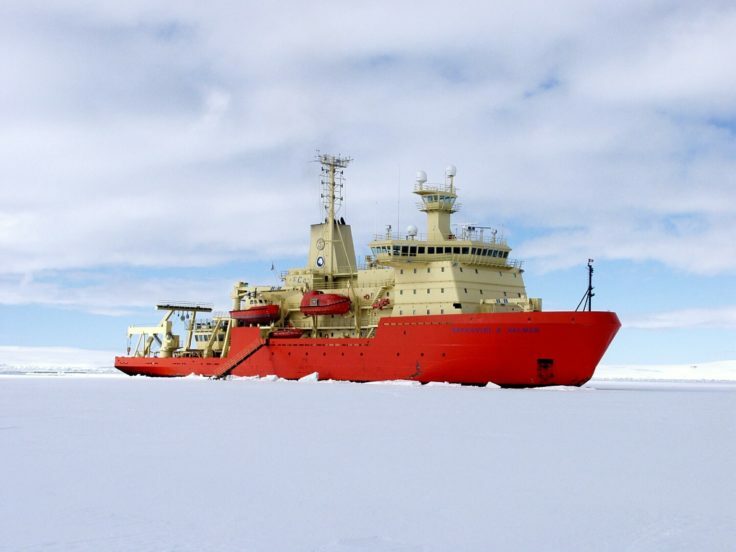 A team of over 20 polar scientists from the UK, US and Sweden set sail this week on the first ship-based research expedition to Thwaites Glacier in West Antarctica. The cruise is part of a five-year project to understand the contribution that the glacier will make to global sea level. One of the teams on board will use ocean gliders, autonomous vehicles and will tag seals. Weddell and elephant seals, which haul out on nearby islands, will be fitted with sensors to understand more about their behaviour and the ocean conditions where the ice front of the glacier meets the ocean. Combining the data collected from the tagged seals with records from ocean gliders and autonomous vehicles, will reveal how the glacier interacts with the ocean. If Thwaites Glacier were to melt completely, sea levels would rise by 80cms. The researchers will spend over 50 days on board the US icebreaker Nathaniel B. Palmer gathering scientific data to help understand more about the past and current behaviour of Thwaites Glacier, which is the size of Great Britain or the US state of Florida. This is critical for assessing whether the glacier is likely to begin to collapse, and significantly raise global sea levels, within the next few decades or centuries.